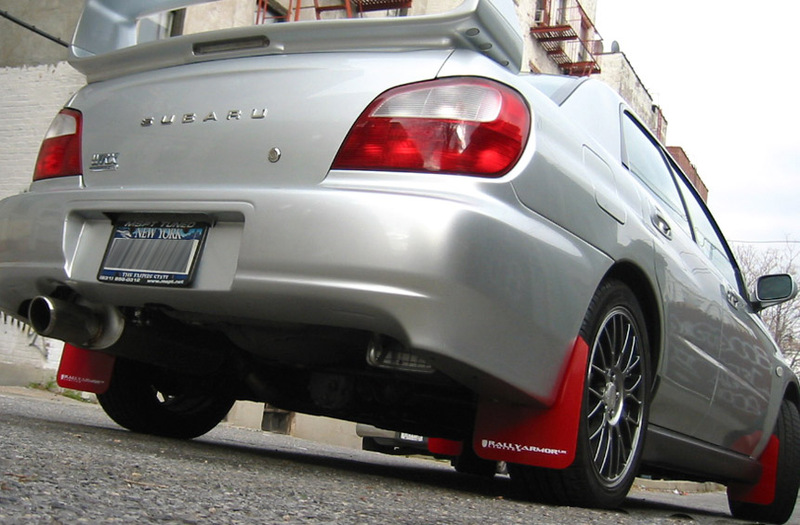 Rally Armor's flexible and durable polyurethane version of rally mud flaps for Subaru Impreza RS. 2.5i sedan. Crafted from premium polyurethane, these mud flaps have been engineered to perform consistently in a variety of environments. 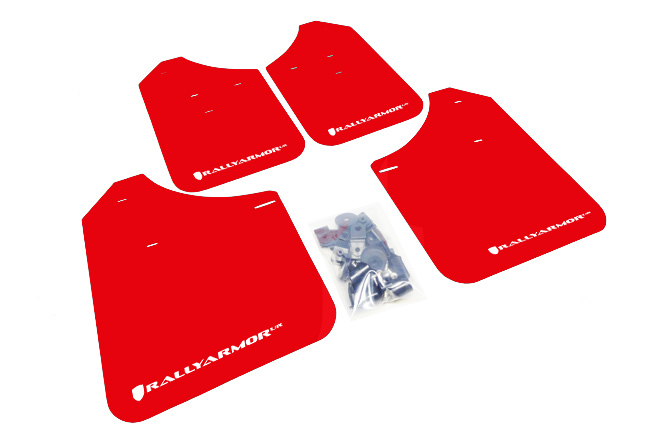 In true rally tradition, our polyurethane rally flaps endure the elements season after season, while finishing your vehicle with a rally look. Each set includes four mud flaps for each corner of your vehicle with rust proof stainless steel and plastic mounting hardware. No drilling required. Simply bolt on using supplied hardware and easy to follow video and instructions. These rally mud flaps are the preferred choice for lowered vehicles or for use in extreme conditions.